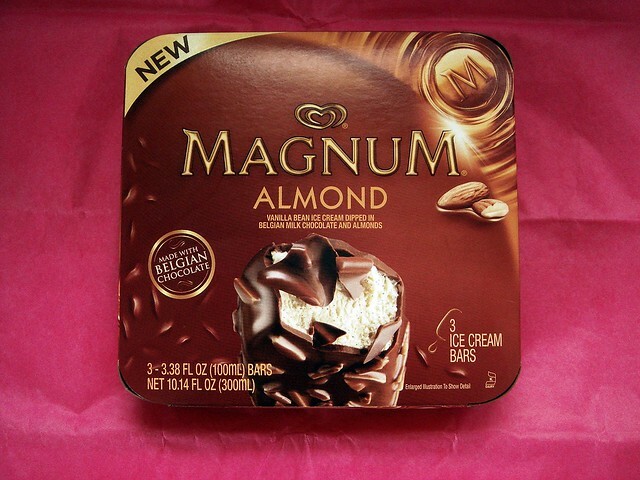 Foodbuzz Tastemaker gave me the opportunity to sample a new line of premium ice cream bars, Magnum Ice Cream. 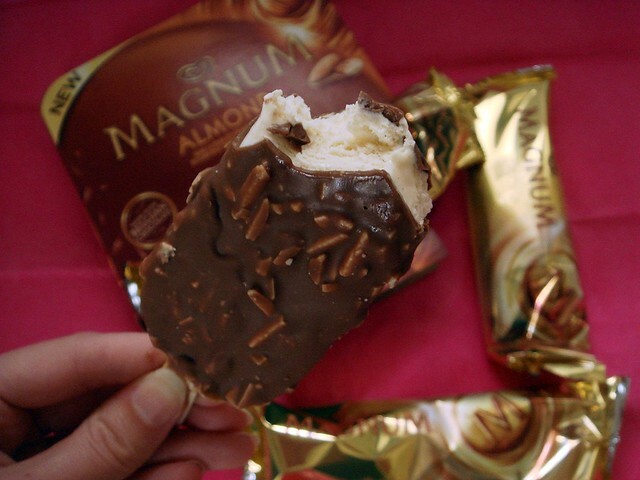 Magnum Ice Cream uses silky vanilla bean ice cream surrounded by a layer of Belgium chocolate. With six different flavors to choose from, you won't know where to start! I tried the almond ice cream bars. The almond slivers are mixed with the creamy chocolate coating and provide a pleasing crunch. I was rather surprised by the chocolate. It tasted rich, almost with caramel undertones, and the vanilla ice cream was thick and delicious. I would give these bars 5 stars based on taste. What I was perplexed at, however, was the fact that each box contains three. Do they make these for me, myself, and I? What's up with that? Sure, I'll say they might be worth the premium price, but for the same price I can find another premium ice cream that contains at least four bars, not three. Each pack is $4.99, or $1.50 individually and can be found at Wal-Mart, Safeway, Kroger, Target, Meijer, and more. I had Magnum ice cream the entire time I was in Israel, I LOVED it. I am so happy its finally come to the US. There was this one I had that was sooo good, but I only was able to find it once in Israel, I doubt that flavor will come here but I can't wait until it does! Whoa, those scones kind of look like the cookies I just made! 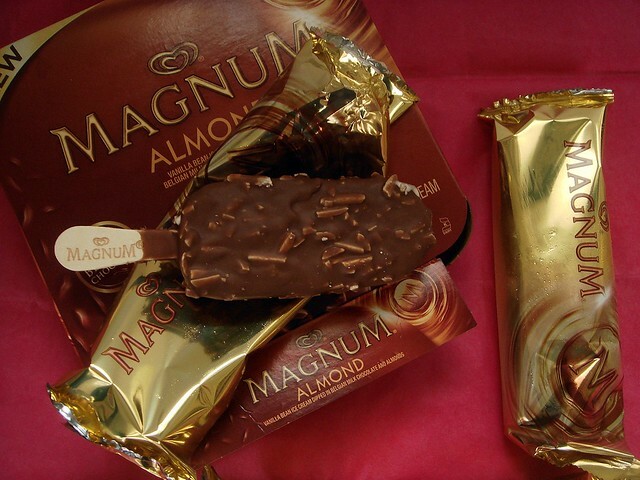 And I just posted about the Magnums too! We think a like. I wish I had gotten the chocolate. I think they're probably better.